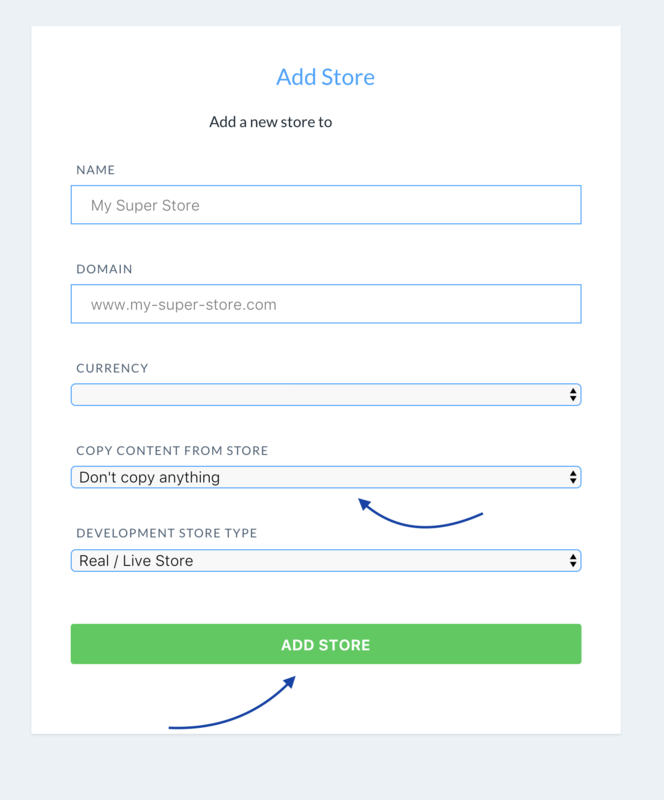 It's possible to add more stores to your Clerk account backend. You might want to add a new store with different country domain or a development site. Go to your Clerk.io Home screen and then click the New Store icon in the top right of the screen. Enter the information of the new store you want to add and click Add Store to create access. Under Copy Content From Store, you can decide to copy the same Content created on a previous store.